What can I say?? I was checking out Shaun T. and company across the web when I came across this picture. It made me laugh a little and I felt like I needed to share. In fact, they have a whole gallery of “motivational” pictures like this up over at shauntfitness.com – I suggest you check it out. 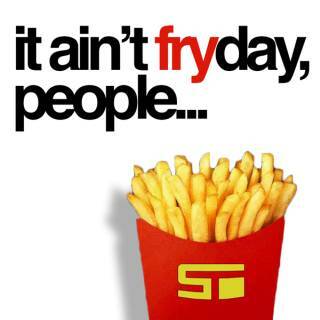 And remember: It ain’t fry-day, people!